Today has been another day of interesting and fascinating transfer news, gossip, rumors, speculation regarding the Gunners. Without further ado, here is the Arsenal Transfer News Roundup. Many reports are filtering out, stating that the Gunners are going to miss out on the signing of Gary Cahill to Chelsea. 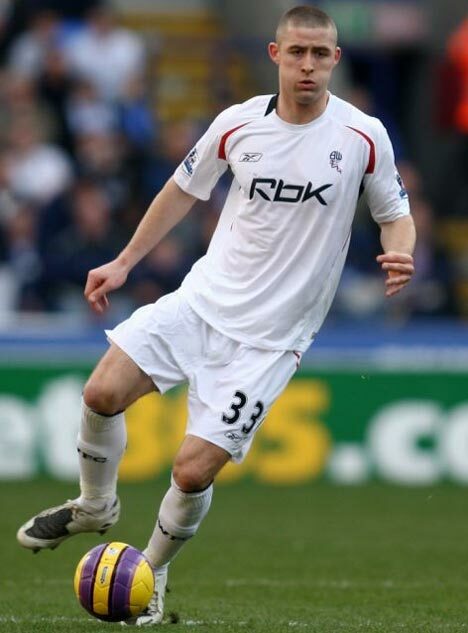 It is said that Chelsea's new manager, Andre Villas-Boas, is on the lookout for a new central defender and reports say that the club's skipper, John Terry, has recommended Bolton's Gary Cahill. If Chelsea do sign Gary Cahill, then it would be a set back for Wenger, as he has long held an interest in the England international and will continue to frustrate fellow Gooners, who consider signing a new, quality central defender as a necessity this summer. 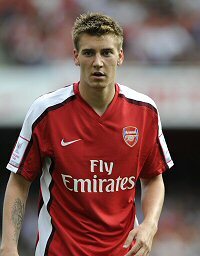 According to Hamburg's sporting director, Frank Arnesen, the club are interested in signing want away Arsenal striker, Nicklas Bendtner. He does state, though, that it's unlikely that they'll be able to sign him and it would take a "small miracle" to acquire him. "We need more creativity in our offence. A midfielder with quality would be good for us,'' he told Hamburger Abendblatt. "Bendtner would be a real dream, he is a very interesting player. Despite this, he does indicate that other clubs have made offers for him and is very likely to leave. The Gunners reportedly value him at around 12 million pounds. Interesting piece of news coming out, stating that Everton are interested in signing Laurent Koscielny from the Gunners. The report also states that Everton have already made inquiries on Koscielny's availability and consider him a good replacement for their want away defender, John Heitinga. In my opinion, I don't think Koscielny will be leaving anytime soon, especially after just one season. He has made a few mistakes, but overall I believe he's done well, especially that memorable performance against Barcelona, in the first leg at the Emirates Stadium. What do you think? Should the Gunners fight for Cahill's signature? Do you believe that the Gunners should let go of Bendtner? Should the Gunners consider offers for Koscielny?